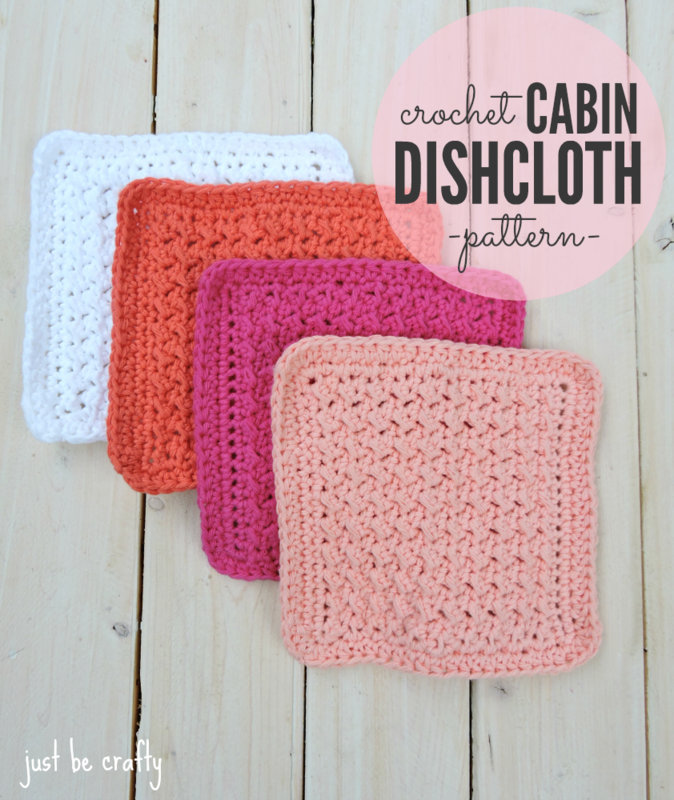 The crochet cabin dishcloth is the perfect project to spruce up your kitchen. The combination of stitches makes for thick and thirsty fabric perfect tackling your toughest messes! 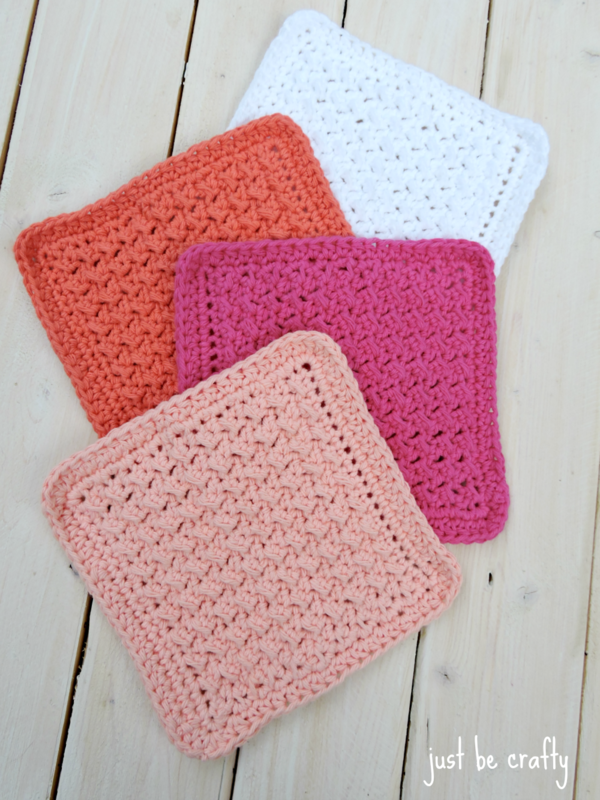 I’ve been on a bit of a dishcloth kick lately and today I have a new one to share, the Crochet Cabin Dishcloth! These cloths remind me of something you would find in a camp or cabin and folded over the kitchen sink, thus the name. Made with 100% cotton yarn these cloths are super flexible and absorbent, perfect for tackling the worst kitchen messes! And the combination of stitches makes a complicated looking texture but it’s really quite easy, and they work up pretty fast. Keep reading to find the pattern below! See below for the video tutorial! A printable download PDF of this pattern can be purchased here. Round 1: Starting in last stitch of the previous row (the stitch you are in now), make 2 sc in that same stitch. You should now have 3 sc in the same stitch. This is creating your first corner. Make 18 sc evenly along the side of your piece, once you reach the 1st stitch of the bottom edge, make 3 sc in this stitch. You have now made corner number 2. Sc in each stitch along the bottom edge, and make 3 sc in the last stitch of the bottom edge, making corner number 3. Make 18 sc evenly along the second side of your piece. Once you reach around to the top edge, make 2 sc in this same stitch for a total of 3 stitches in your 4th corner. 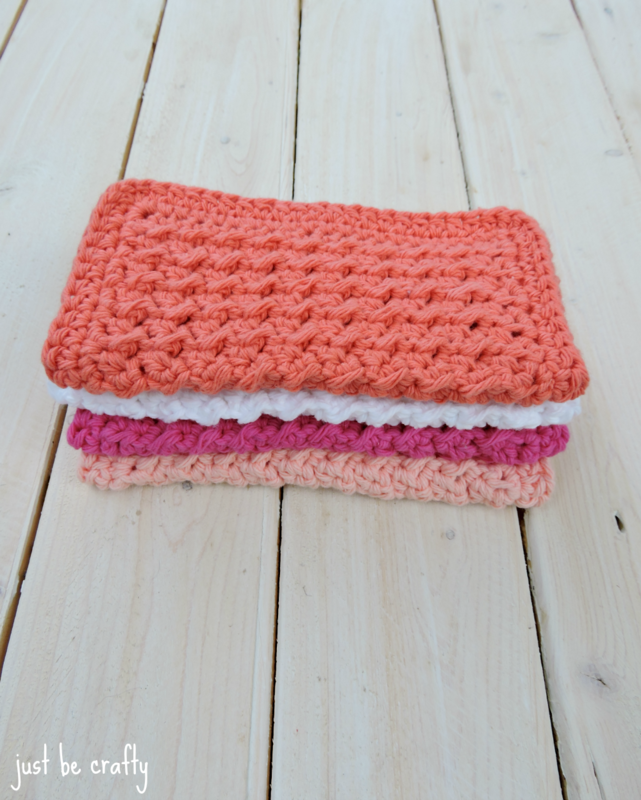 Join using a slip stitch with the first stitch or row 22. Round 2: Ch 2, starting in the same stitch as your ch 2, hdc, and hdc in each stitch across the row and make 3 hdc in the center corner stitch. Repeat this process for all four sides and corners. Join with the 1st stitch of the round using slip stitch. Cut yarn and weave in all ends. Enjoy! I just made one. Easy & fast to crochet. I love this pattern. 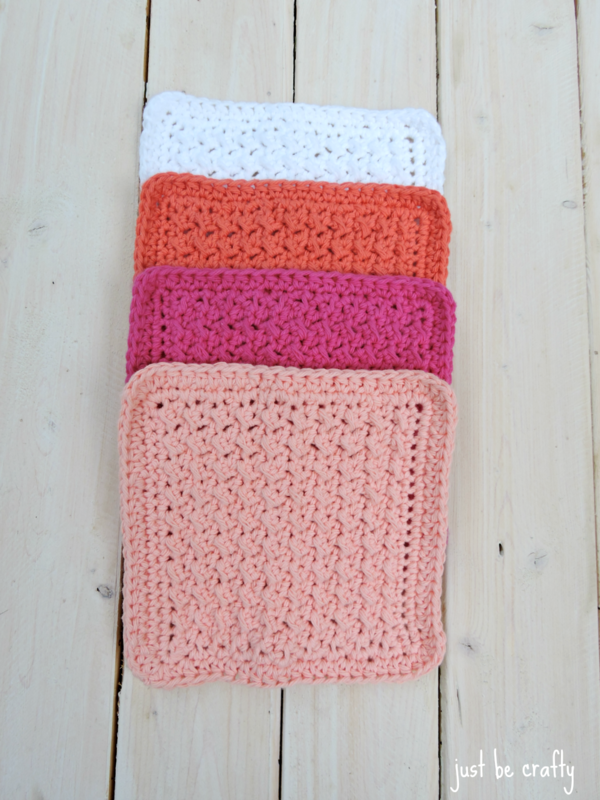 Do you have any video tutorials for making the dishcloths. I seem to do better with a video to watch. I can’t wait to try it! Thanks!!!! If I wanted to make it bigger would I just make a longer chain? Hi Loretta! Yes, you’ll just want to make sure you chain an odd number. How many dishcloths can you get out of one skein? Thanks! Hi Gemma! If using a 4oz skein you should be able to get two maybe 3!